23’ 1996 Cobalt 233 cuddy cabin boat and trailer. Excellent condition. 7.4LX Merc Cruiser, 310hp. SS prop. 200 hours on new engine. 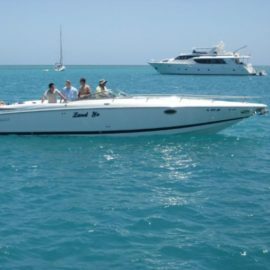 1998 Cobalt 233 cuddy cabin for sale. White with Navy Blue Trim.